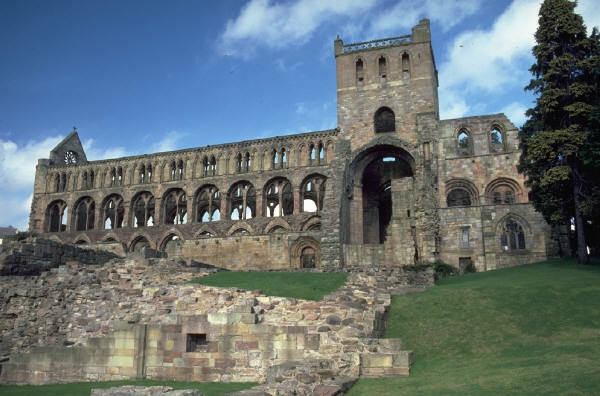 The standard view is that getting rid of the rule from Rome and abolishing the monasteries was a progressive move that freed up England from superstition and allowed resources to switched into developing the economy. It also gave a handy excuse for ignoring the Pope’s parcelling up of the New World between Spain and Portugal. This version has always tended to blacken the reputation of the Catholic church and turn the Protestant reformers into heroes bravely forging forward. That was certainly how I saw it when I was much much younger. It fitted in nicely with another idea, the one that Catholicism was an intrinsically negative force whereas Protestantism encouraged freedom of expression and in turn economic well being. This view of history fits well enough if you have a quick look. Protestant northern Europe was more advanced than Catholic southern Europe. Within that, you had backwards Catholic Ireland and advanced Protestant England and Scotland. You could do the same looking at the relative economic strengths of Protestant parts of Germany compared to Catholic ones. It all seemed to fit. Except it didn’t. For start, where does France fit in here? France was clearly a leading economic power in Europe for most of the last 500 years. It was the leading economic power for a lot of it. And the more you look into the details the more you find Catholics doing things just as significant in creating the modern world as Protestants. In particular, supposedly anti-scientific Catholics seem to come up with just as many innovations as Protestants. And were the reformers in England liberal open minded people? Hardly. The English Reformation was a top down religious revolution imposed by force and coercion. Religious revolutions always are. That was how the Catholics got in in the first place. In fact the coercion was pretty evenly balanced, though the Catholic body count is a bit higher. But so what, the numbers are just statistics. The bad thing is that anyone is being killed for their religious beliefs regardless of what they are. The English Reformation was not exactly a blood bath, but there were enough deaths for it to be clearly something it would have been better to have done differently. So is this what Eamon Duffy is saying? Er, no. He is suggesting that the Catholic heritage was worth keeping and that losing it was a cultural disaster. Do what? What exactly would we have today that we don’t have if we hadn’t got rid of the Catholic church in the sixteenth century? More masses? More cheesy ‘religious art’? It’s not like we suffer a stained glass window shortage as it is. To my mind the English Reformation has been oversold. It didn’t really do much good. The improvements in life came much later in the Enlightenment. But let’s not start thinking it was positively harmful. Being a waste of time is bad enough.